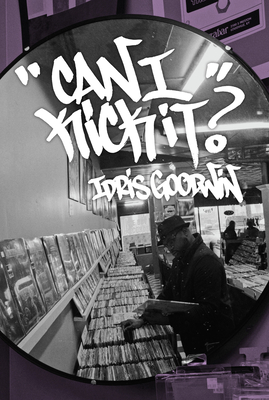 Idris Goodwin uses the written and spoken word to incite and inspire. An award-winning writer/performer who coined the term "break beat poet," Goodwin is the author of the Pushcart-nominated essay and poetry collection These Are The Breaks (Write Bloody). He's had several publications with Haymarket Books including Inauguration (cowritten with Nico Wilkinson), winner of the 2017 Literary Arts Award from the Pikes Peak Arts Council, Human Highlight: Ode to Dominique Wilkins, and the controversial play This Is Modern Artboth cowritten with Kevin Coval. His poetry was featured on HBO Def Poetry, Sesame Street, NPR, BBC radio, and the Discovery Channel. He's received support from the NEA, the Ford, Mellon, and Edgerton Foundations, and the Playwrights' Center's McKnight Fellowship. An accomplished playwright, his widely produced stage plays includeAnd In This Corner: Cassius Clay, How We Got On, and Hype Man: a break beat play. A frequent public speaker at conferences and educational spaces, Idris is one of the leading voices in his field, committed to more diverse and equitable spaces for all. Idris and his family live in Louisville, KY where he is the producing artistic director of Stage One, a professional theater company for young audiences.